Self care is essential to the life of any mom so she can keep her sanity and for some, it means sporting long, beautiful nails. Moms like Khloe Kardashian who love the positive energy of this haute manicure often take the heat of mom shaming on social media because the longer the nails, the bigger the hindrance they are to everyday mom duties. No mom should have to feel guilty for long, glamorous nails or have to worry about destroying them in the process of motherhood. When it comes to car seat struggles, moms have a secret weapon to keep them looking their best. The Car Seat Key is the simple handheld tool that presses in the red harness release button on children’s car seats. 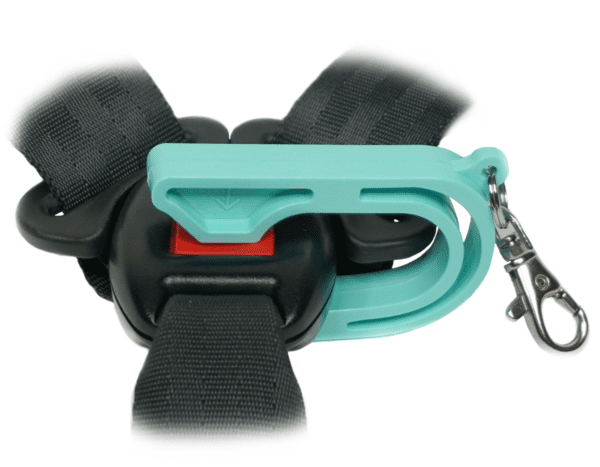 With one hand you can easily and quickly release your child from his or her car seat harness. Fashion Nova Merch for Men is Fire!